This year in Robotics I learned to program in the Java language, communicate effectively, express ideas clearly, leap out of my comfort zone and most importantly develop friendships with my teammates. During this robotics season, I learned how important teamwork is. The entire team was separated into multiple smaller teams, and we all had to work together to get the robot to work. If one team didn’t do what they were supposed to, nothing would run properly. Everyone had to communicate to get the job done. One team would do something, and to get the robot to drive and shoot boxes, they would have to talk to people in the other teams to get their part of the robot functioning. All the teams worked together, and the robot functioned on the day of the competition. Like they say— teamwork makes the dream work. I have learned many great things when I have joined robotics. I learned that we all work good as a team to build a robot to go onto the field. I have also learned about designing, putting the parts on the robot, and going to competition for the first time. This year was fun. This year in Robotics I learned many new things. I was able to learn more about what coding is as well as how to code in Java. Robotics gave me a look into software, mechanical and electrical engineering. It gave me a better perspective on the STEM field and helped me decide on what I want to do in the future. I made a lot of great friends and learned how to work with complete strangers as I didn’t know many kids going into Robotics. I learned more about computers during the season as I got a hands on experience. Overall, Robotics taught me many real world skills and helped me come out of my shell. This year in Robotics I learned many different skills. The first skill I grew strongly in is working in a team that everyone is trying to complete on specific mission. The second is how to assemble a robot out of just a few simple parts and how to design it in Solidworks. The final skill that I finally learned a little bit about how to code using Java. These are the three skills that I learned in Robotics during the 2017-2018 year. During the 2018 Power Up season I have learned how to work together as a team and be more efficient. I have learned that lots of effort needs to be put in to make something great and what you want it to be. I have also made wonderful new friends and learned how to interact with them to get work done. During the 2018 season I have experienced the robotics competition for the first time. 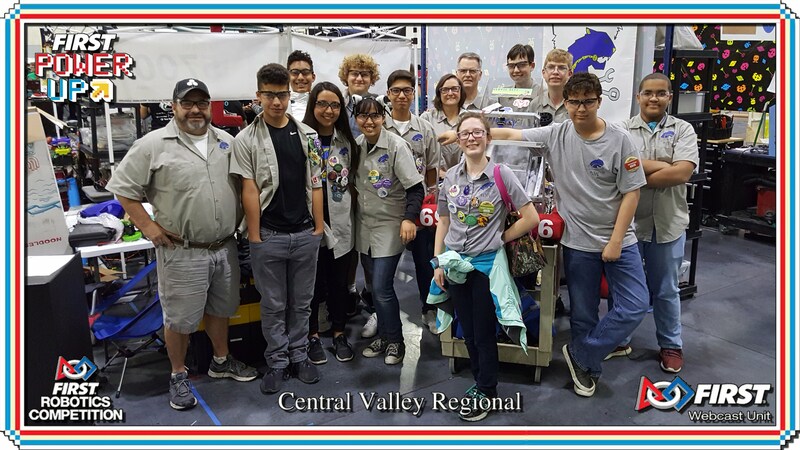 Throughout the season I have also learned what it is like to be relied on to do a job, I am a programmer and had a responsibility to make the robot move and do what the team wanted. I also had to learn to rely on others though to help me such as the mentors or the other programmers. Together as a team we had fun and did well. During the 2018 season I have learned how great it is to have friends you can rely on, mentors you can trust, and to be able to have tremendous fun while still doing work. This year in Robotics I learned how to work as a team. Before I joined the team I had had little team work experience as I was not very athletic growing up. As the season moved on I learned how to work with others and trust them in order to get to the final product. I also learned how to build a robot. I had no idea how to code or design a robot before I joined but when I finally learned it created an experience that I will never forget. This year in robotics I learned many things those ranging from cooperation to the actual work itself but the two most important things I learned were Patience and effort. The first one I wish to talk about is patience the fact that when I joined I was rather impatient with both things going wrong with the robot and the people around me. The second and arguably most important thing I learned this season is effort because believe me it took a lot of effort to make our robot not only function but function properly. In my humble opinion those were the two most important things I learned this season.